With so many Jeep Cherokee trims and options out there, it's easy to mold this SUV into one that really gets you. This all-American SUV supplies everything from a smooth, family-friendly ride to a rugged foray into off-road territory. Which trim is your type? We're here to guide you through the Jeep Cherokee trims and options. 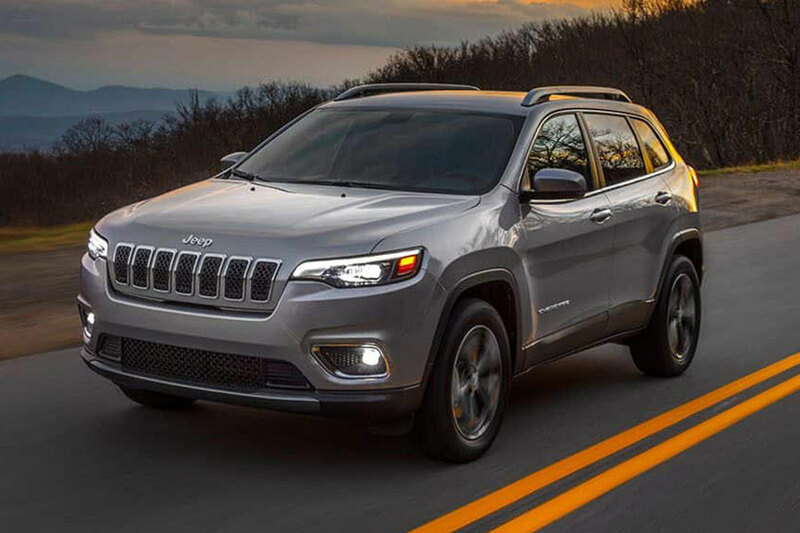 Besides featuring the lowest price tag, the entry-level Cherokee is stuffed with everything you need to navigate the modern roadways. 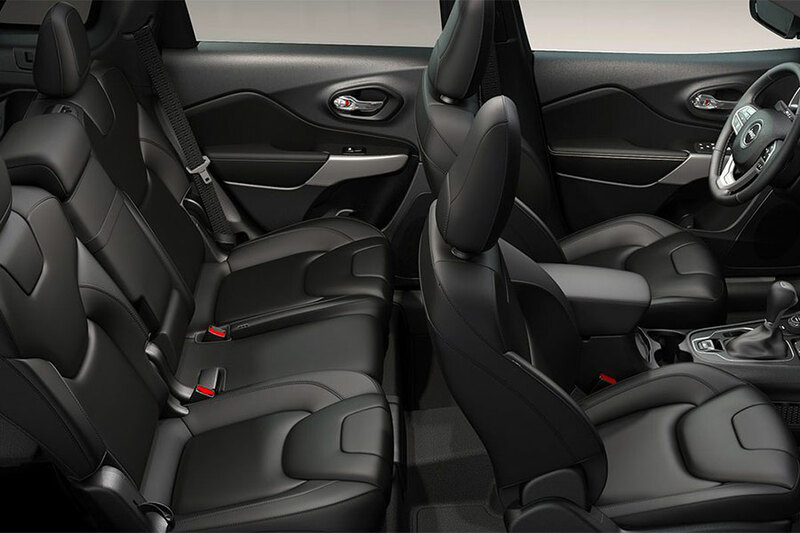 For starters, that means roomy comfort in the height-adjustable front seats. Storage spaces also abound, including a nifty compartment inside the passenger seat cushion. Flip down the 60/40-split folding rear seatbacks to expand the cargo hold and haul long or wide items. Hands-free access to your smartphone also comes standard, thanks to Apple CarPlay and Android Auto capabilities. The Latitude even offers a degree of high-tech safety with its standard rearview camera. If you don't want to spend a lot, but can't live without keyless ignition and entry, the Latitude Plus is your Cherokee. This SUV even adds to the base model's roomy comfort with a leather-wrapped steering wheel, leather seating inserts, and a power-adjustable driver's seat. Thanks to its two extra USB ports, no device goes uncharged. The Limited upgrades your Cherokee with more safety, smartphone integration, and upscale comfort features. The blind-spot monitoring system with rear cross-traffic alert helps you watch your back when you're switching lanes or backing out of a driveway and into traffic. Inside, you'll find the upgraded Uconnect system with the bigger 8.4-inch touchscreen. Best of all, the Limited will have you sitting pretty in its leather upholstery and heated front seats. There's even a heated steering wheel to keep your fingers from going numb on an icy morning. Want a little luxury to go along with all that family adventure? The Overland is your trim model. It adds to the Limited lineup with all the feels, from upgraded leather upholstery to ventilated front seats. This Cherokee even puts and upscale vibe on your highway commute with its sound-deadening windshield and front windows. But the Overland is also the best looking of the bunch, with its 18-inch wheels and unique body-colored exterior trim. Tech upgrades include a nine-speaker audio system, navigation, and HD radio. 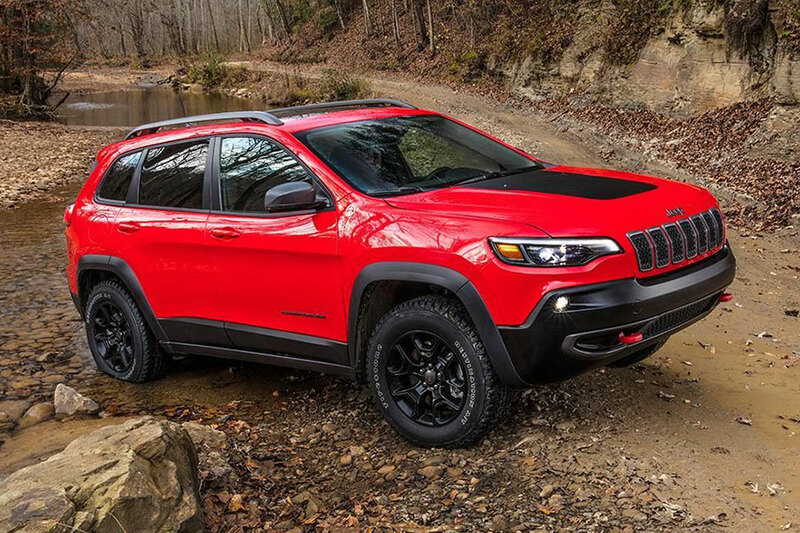 The Cherokee Trailhawk is ready to explore the wilderness. This SUV comes standard with everything you need to travel off-road with cool composure: the advanced Active Drive II all-wheel drive system, all-terrain tires, increased ground clearance, and off-road-oriented suspension tuning. The Trailhawk slugs through the mud and up rocky inclines with the best of them. Sunroof, nine-speaker stereo: These standalone options put a touch of luxury on the lower Cherokee trims. Navigation: Get turn-by-turn directions on the Limited and Trailhawk trims. Active Drive II All-Wheel Drive System: This, the Cherokee's most rugged of all-wheel-drive systems, is standard on the off-road-ready Trailhawk. But it's also optional for the all-wheel-drive-equipped Latitude Plus, Limited, and Overland trims. Comfort and Convenience package: Add this to your Latitude Plus for-you guessed it-a more comfortable, convenient daily drive. Features like the household-style power outlet, power liftgate, and remote start save time, whether you're charging your laptop on the way to work or getting ready to stuff the trunk with groceries. The comfort part of the package comes in the form of dual-zone climate control. Trailer Tow group package: It's got everything you need to pull max loads, including a Class III hitch, stand-alone transmission cooler and trailer wiring harness for four- or seven-pin systems. Add this package to the Latitude Plus, Limited or Trailhawk trims. Technology package: A better name for this bundle might've been the Safety package, because it's loaded with all the latest and greatest safety aids. That means lane departure warning, forward collision warning with automatic emergency braking, and automatic high-beam headlights to help you see danger coming. Available for the Limited, Trailhawk and Overland trims.